It’s a given that Cryo Chamber releases are superb. 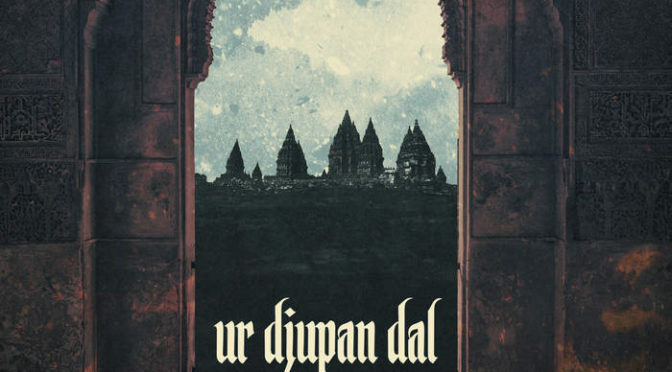 My expectations for this joint release by Atrium Carceri and Herbst9 are therefore high and I expect some exceptional material here on ‘Ur Djupan Dal’, which is a cooperative piece of gloomy ambient music. The story starts in a harbor, warm and mysterious, perhaps in the orient? But this is a land of magical beings, of giants and dragons, but also of mystic vapors and strange rituals. Atrium Carceri is a project by Simon Heath, known for his involvement with Cold Meat Industries and founder of Cryo Chamber. Herbst9 is a mysterious new age/ambient project from Leipzig with various other expressions. Unearthly mumblings and rumblings open the record and allow you entrance into this realm, as a shrill whistle blows and various ambiance and field sounds seem to fill your consciousness. Slow, gliding and with a sense of immenseness drums guide you forward as the utterances keep disturbing the sense of tranquility. In the sound, there’s always something at the edge of your perception happening though. Something ominous, foreboding even, of other events that might lurk. That whispering takes a clear shape on ‘Ur Evighetens Pipa’, where an almost mechanic rhythm is disturbed by utterings in an unidentifiable language. This mysterious tongue seems full of mystery. On ‘Drakhuvud’ we even hear ritualistic chanting, as the sound drones onwards with unremitting power and booming strength. That is what draws you into the sound of this record, it’s sheer force and overwhelming ability to captivate and demand attention with heaviness you feel in your gut.